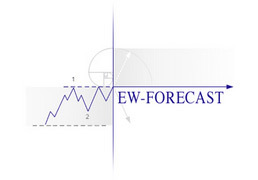 Here are some common sense guidelines on how to use the EW-Forecast tool/software and interpreting the price forecasts illustrated in the charts. Elliott wave is all about interpreting the price data into sets of patterns. Joining these together in a seamless sequence that adheres to the governing rules and guidelines enables us to build a picture of future price direction, pattern & amplitude. 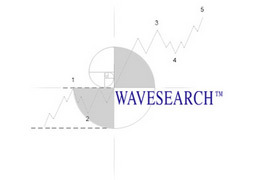 There is one aspect of Elliott Wave that must be understood and critical to your success in trading - this is a system or methodology that provides you with an ORIENTATION of where current price activity is in relation to the past and what possibilities lie ahead in the future. It provides you with a PERSPECTIVE, a viewpoint of all the relevant historical price-data in a meaningful relationship that translates into an ongoing, progressive sequence that can be non-linearly extrapolated into the future. 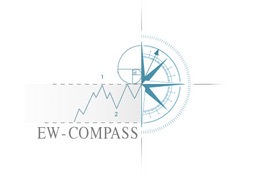 Once current price activity is identified and located within the larger, progressive sequence, trading strategies can be created according to the time-frame most suited to you. EACH UPDATED FORECAST IS THEREFORE AN ATTEMPT AT IDENTIFYING WHERE PRICE ACTION IS IN RELATION TO WHERE IT IS GOING - IT IS NOT PROVIDING AN AUTOMATIC, IMMEDIATE INSTRUCTION THAT GENERATES A BUY/SELL SIGNAL - BUT AT CERTAIN TIMES, AN UPDATE WILL PROVIDE AN OPPORTUNISTIC MOMENT TO ACTION A TRADE, AND THESE OCCASIONS WILL BE HIGHLIGHED BY THE TREND ICONS (IN THE EW-FORECASTS/EW-COMPASS SUMMARY AREA) AS REVERSAL STANDBY OR REVERSAL CONFIRMED. What time-frame suits your trading style? EXPLANDING DIAGONAL PATTERNS - Do they really exist?